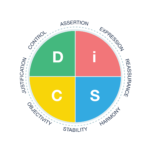 Everything DiSC is the leader in DISC Personality Tests, and the only DISC assessment that uses adaptive testing. We feature both the Everything DiSC circular model as well as the traditional graph-based DiSC Classic Profile model. 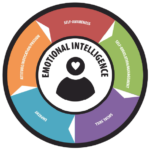 The Everything DiSC model has applications for workplace enhancement, leadership skills, management styles, conflict resolution and selling skills. Explore our sample reports and discover why Everything DiSC is the most trusted and accurate DiSC model on the market. PXT Select offers our clients the ability to fill in the gaps between their candidate’s resume and the actual interview. This powerful assessment measures behavior, thinking skills, and interests and presents the results as a best fit percentage against the position you are looking to fill. This report is validated for hiring and will transform how you interview and select your candidates. Check out our Starter Packages if you are interested in exploring this assessment. 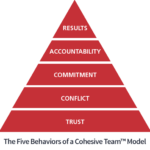 Supervisors are the leaders that are most likely to be promoted from within your organization. While they are usually selected because they are excellent individual contributors, they typically feel underprepared for a leadership roll. Vital Learning’s award winning Leadership Essentials Skills series teaches new leaders new the necessary skills to make them effective leaders. Supervisors have the most direct contact with the largest part your workforce, and these leadership essentials significantly impact employee engagement and results. Preview the course and learn how this training could transform your mangers and leaders. Center for Internal Change, a division of The TEAM Approach, Inc. has continuously won the top award offered to authorized partners of Everything DiSC materials for the past 15 years. Consultation and customer support in choosing the correct assessment or how to more effectively use your assessment. On-site customized training and coaching to meet your needs.